Beautiful, Scottish and redhaired, Karen Gillan has become a favorite to sci-fi fans around the world and her stardom is set to increase as she is appearing as the villainess Nebula in Marvel's Guardians of the Galaxy. Seeing that her career is on the rise, now is a great time to look at Ms. Gillan. Karen Gillan was born and raised in the city of Inverness in the Highlands. Her father, John Gillan was a professional singer and like her father, Karen went down the musical route, learning to play the piano at seven. She also took part in local theater productions at a young age. Gillan trained at Telford College in Edinburgh before moving to London to study at the prestigious acting school the Italia Conti Academy. Gillan started her career as a model while she was studying in London. She is a naturally tall, thin woman with striking looks and red-hair, making her a natural for modelling and her experience came in use for later film roles. Like many British actors, Gillan's started her career in one-off roles on television programmes. Her first role ever was in the police procedural Rebus and she had a role in the medical drama Harley Street. Gillan also appeared in Stacked and Coming Up, television projects that aimed to allow the work of new writers to appear on TV. She appeared in the British horror movie Outcast with Katie Dickie (Red Road, Prometheus) and James Nesbit (The Hobbit Trilogy). Her biggest role at this time of her career was a two year stint on the sketch show The Kevin Bishop Show where she played various characters, from Mary Poppins to Angelina Jolie. Gillan's big break came in 2010 when the then 21-year-old actress won the coveted role of playing The Doctor's companion in Doctor Who, playing the role of Amelia "Amy" Pond, the girl who waited. This was not her first appearance in Doctor Who; she originally appeared in the episode of "The Fires of Pompeii", playing a non-speaking soothsayer. It's a small role, but like Freema Agyeman who had a similar route on the show, Gillan caught the attention of the producers and casting people of the show and got a much more substantial role. As Amy Pond, Gillan quickly emerged as a fan-favorite, winning audiences over with her fiery persona, her quick wit and showing Amy's vulnerability. She suffered, her fiancé erased from existence, and she had an unknown sadness, having to deal with the fearsome Weeping Angels and fought robots with a katana. 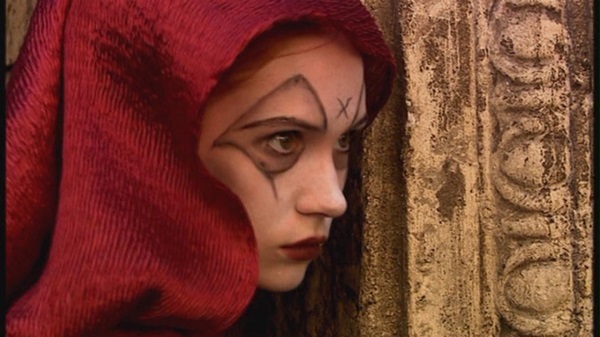 Amy became an important part of the Doctor Who mythos. Gillan won awards for her role on Doctor Who including a National Television Award for Best Drama Performance: Female. But after two and a half seasons Gillan, left the show to pursue other projects. During her time on Doctor Who, Gillan also appeared in the BBC TV Film We'll Take Manhattan, starring as model Jean Shrimpton. The film looks at her relationship with photographer David Bailey in the 60s. Gillan also appeared on the stage in a West End production of Inadmissible Evidence. Following Doctor Who, Gillan starred in the Scottish set rom-com Not Another Happy Ending, reuniting with We'll Take Manhattan director John McKay. Gillan stars as an author who is struggling with writer's block following the success of her first novel. It was a movie that only received a mediocre reception. Since leaving Doctor Who, Gillan has also appeared on television programmes on both sides of the Pond, both programmes parody police procedurals. In the UK, Gillan appeared in the third series of The Touch of Cloth which stars The Mummy's John Hannah and in America she appeared in NTSF: SD: SUV::. Gillan starred in her first American movie this year in the critically praised horror/psychological thriller Oculus. Gillan stars as Kaylie Russell, the older half of two siblings who suffered a great tragedy as children and sets out to prove a mirror is haunted as her sense of reality is altered, not knowing what is real and what is fake. Last year Gillan was cast in her first blockbuster, Guardians of the Galaxy. 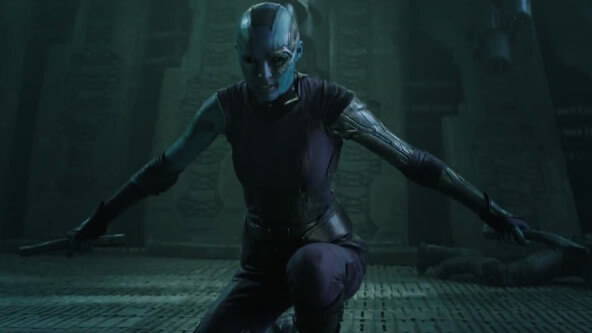 She will be playing Nebula, one of the main henchmen of Marvel's big bad guy Thanos and a ruthless killer. Gillan was truly committed to the role, shaving off her signature red hair, spending four hours in make-up everytime she needed to be in blue-skin and spent two months training up for the role. But it is a role Gillan had fun with and when interviewed by Comic Book Resources she is quoted "I think she's a really interesting character. What I like to play around with is how jealous she is. She's Gamora's sister, and there's a lot of sibling rivalry. That's the most interesting aspect to me, because jealousy can consume you and turn you bitter, and ugly. And she's a total sadist, so that's fun too." Guardians of the Galaxy has been earning excellent reviews, so it is a great addition to Gillan's résumé. Gillan has two projects in the works post-Guardians of the Galaxy. The first we will see is the comedy show Selfie for ABC in September. Selfie was created by Suburgatory's Emily Kapnek and also stars John Cho. Selfie is described as a loose adaptation of My Fair Lady and Gillan is playing Eliza Dooley, a 20-something social media obsessive who sets out to revamp her image after an embarrassing video goes viral. She is currently filming the Western drama In the Valley of Violence with John Travolta and Ethan Hawke, which is being helmed by up-and-coming director Ti West (The Innkeepers). In an interview with the British magazine SFX, Gillan said she would like to play the female version of Spider-Man, Spider-Girl. It is up to Sony to make a Spider-Girl movie as they have the rights to Spider-man and his supporting cast. If she is serious about having a superhero role, then there are two characters that fans would be excited to see her play. 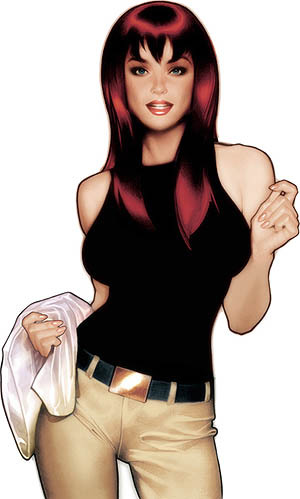 Staying in the Spider-man universe, Gillan would be an excellent Mary Jane, having the looks, the modelling experience and like Amy Pond Gillan, can be a confident, quick witted young woman. It is easy to picture her saying "Go get 'em tiger". 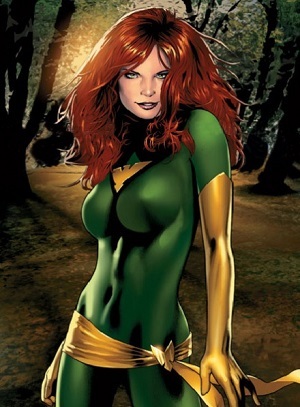 The other character is the younger version of Jean Grey who will appear in X-Men: Apocalypse. Again Gillan has the right look to play the mutant and it is suspected that the young Jean may become the Phoenix as the X-Men battle one of their greatest threats, Apocalypse. Guardians of the Galaxy is out on July 31 in the UK and the day after in North America. Hopefully we will see even more of Karen Gillan in movies, television and on the stage.